Is a cup of coffee always JUST a cup of coffee? For today’s specialty coffee consumer, the local café roastery can be a stand-in-place journey around the globe to one farm/one cup with a story that is anything but average. This is the perfect moment to introduce your customers to the world of microlot pour over coffee! Microlot coffees are increasing in popularity for roasters looking to inspire and educate a new generation of specialty coffee lovers. The demand for microlot coffees continues to rise, as we have witnessed time and time again at past conventions. Microlots are unique in that they offer the roaster the freedom to enumerate every aspect of origin and production down to a very specific level of farming detail. These are not run of the mill coffees, and they’re not meant for a run of the mill brew. First off, a microlot coffee steeped in your bulk brewer is likely going to disappear fast. 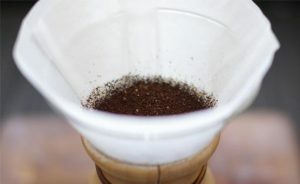 With a microlot pour over using a chemex, hario or similar device you’re given the fortune to properly plate the beverage experience, much in the same way a chef plates a well-prepared dinner at a fine restaurant. Presentation counts, plus it’s a critical opportunity to explain why microlot coffees so special. Indeed for many consumers who still resonate only with the terms fair-trade and organic, microlot pour overs allow you to connect with customers on a variety of topics from the farmer or co-op to where it’s grown, how it’s cultivated and the processing methods that differentiate it from other coffees. These connections can be very meaningful both in knowing your audience and establishing your business as an authority. Even for customers who already know that they can depend on a quality cup from your establishment, offering them a microlot pour over is a great way to share your passion and keep them guessing which flavors and what kind of journey their next visit might bring. We are delighted to offer you a variety of microlot coffees from all corners of the coffee world. We offer a limited, rotating stock of several microlot coffees that are available to our roasters nationwide. Our current offerings include our Costa Rica El León De Heredia, our Nicaragua Organic Jinotega Finca La Isabelia Honey and our Tanzania Kibosho Peaberry.